KIEV, Ukraine -- A former regional governor has been found dead in Ukraine, the latest in a series of deaths involving allies of deposed President Viktor Yanukovych. 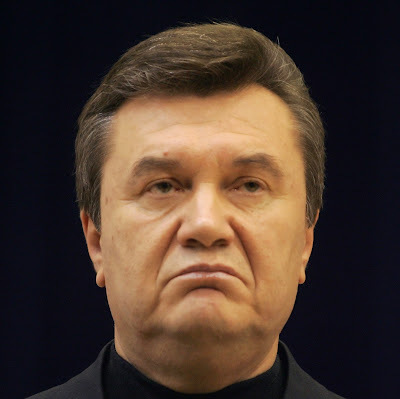 Viktor Yanukovych was toppled in February 2014 and fled to Russia. Oleksandr Peklushenko, former head of Zaporizhzhya, had suffered a gunshot wound to the neck and authorities said initial inquiries pointed to suicide. A member of Ukraine's Party of the Regions, he was being investigated over the dispersal of protesters last year. Five other officials also died in mysterious circumstances this year. Stanislav Melnyk, 53, an ex-MP was found shot dead in his bathroom on 9 March. Mykhaylo Chechetov, former party deputy chairman, died after apparently jumping from a window in his 17th-floor flat on 28 February; he had been accused of abuse of office and fraud. Serhiy Valter, a mayor in the south-eastern city of Melitopol, was found hanged on 25 February; he too had been accused of abuse of office. Oleksandr Bordyuh, a former police deputy chief in Melitopol linked to Valter, was found dead at his home on 26 February. Oleksiy Kolesnyk, ex-head of Kharkiv's regional government was found hanged on 29 January. An interior ministry source told Interfax Ukraine news agency Peklushenko, 60, had committed suicide in the village of Sonyachne, near Zaporizhzhya city. However officials said other theories were being investigated including murder. He had been governor of the southern Ukrainian region from 2011 to 2014. Ukraine's Kanal 5 TV reported that he had been suspected of arranging for demonstrators to be dispersed by pro-government thugs at the height of the protests against Yanukovych's rule in January 2014. A month later, the president fled to neighbouring Russia, prompting the fall from power of his political party. Russia then moved to annex the Ukrainian peninsula of Crimea and conflict broke out in eastern Ukraine, an area seen as a stronghold of Yanukovych's party.